Leks&Co's concise legal guide to Indonesia real estate 2016 covering general real estate law, investment vehicles, acquisition and leases, and financing, as published by Getting The Deal Through. The Investment Coordinating Board (BKPM) of Indonesia explained in its press release in January 2016 that the investment realization in 2015 is Rp 545.4% trillion, or rose 17.8% compared last year. Investment realization exceeds the target 2015 which was Rp 519.5 trillion (105.0%). Domestic Direct Investment (DDI) increases 15.0% of Rp 179.5 trillion, meanwhile Foreign Direct Investment (FDI) increases 19.2% and reach Rp 365.9 trillion. During 2015 alone, the Indonesia property FDI was 2,433.58 million USD covering 858 projects. It is therefore highly crucial to understand how to legally invest on real estate in Indonesia. 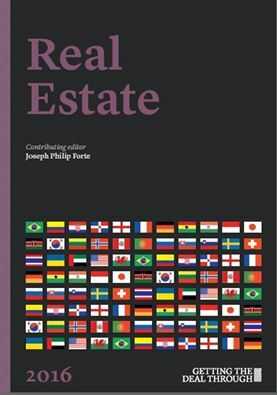 This concise legal guide of 2015 covers ranges of topics from types of right of land, land registration system, exchange control, conflict of law, courts' or tribunals' jurisdiction, tenancy and leasing, acquisitions, to financing issues. This guide will be very useful for investors, CEOs, Directors and top management having the responsibilities on investment, and general counsel. If you have any queries on Indonesia real estate law, please contact us at query(at)lekslawyer.com.